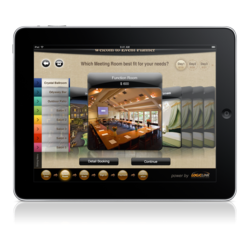 Logiclink, Inc. announces the release of Hotel Dream Apps, a suite of four iPad applications for hotel guests and staff. Hotel Dream Apps include Hotel Concierge, Lobby Ambassador, Event Planner, and Dining Touch N Serve. 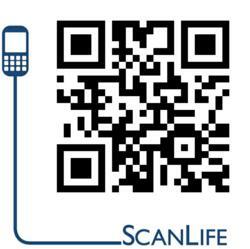 The applications are customized for each hotel property though Logiclink’s pioneering mobile content management system. Hotel Concierge provides guests with information and access to: hotel dining options, local attractions, guest services, virtual room tours for upgrades, maps and directions, airline boarding pass access and mobile printing, flight information, and a multilingual virtual concierge. Lobby Ambassador is used by hotel staff to manage guests’ lobby needs such as check in/out, housekeeping requests, bell desk, room upgrades, VIP butler service. This line buster app communicates via instant text messages and email integration with point of sales and property management systems. MEZZI's New iPad Cases About To Land On The Shelves - Highly anticipated leather-style iPad cases sure to be one of MEZZI's hottest sellers this summer. MEZZI, world renowned aluminum case manufacturer, is preparing for one of its hottest new products to hit its online shelves just in time for summer. Their new uniquely-designed iPad cases are expected to arrive soon from the manufacturer and then be ordered by the many MEZZI fans who own iPads. 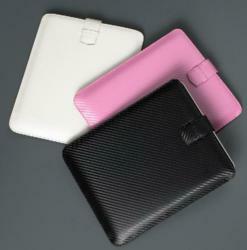 The iPad cases will be available in three stylish colors: black, white and pink. "We've had a great deal of interest in providing our customers a protective and stylish case for the iPad," explains MEZZI President, David Mezzi. "With the upcoming debut of these high-quality iPad cases, we are expecting them to be one of our fastest-selling items this summer. These cases come at a great price-point and offer unparalleled protection for the Apple iPad tablet." Translia Online Translation Service Supports Adobe PDF and Image Files - Translia, a leader in online translation services, announced that it can now support translation of Adobe PDF and image files. This will allow Translia to improve service to its customers through its online interface. Translia, an online translation service, has now added PDF and image file support, creating even more value to their services. Translia has been offering support for Microsoft DOC, PPT, DOCX, and TXT files, among others. Clients can upload the file that they need a translation for, and a translator that is part of the Translia team will immediately begin working on it. Once the translator is finished, the client is able to directly download the translated file. The entire process is quick and efficient. Portable Document Format (PDF) is widely used for exchange of document, released by Adobe Systems for representing files regardless of software, hardware, and operating systems. PDF document has a fixed layout, embedding the text, fonts, and graphics all together. PDF as an open standard was published by the International Organization for Standardization as ISO 32000-1:2008. In the past, Translia did not support PDF and image files (like GIF, JPG, BMP, and TIFF). This was due to the lack of "editable text" in such files for document translation. However, Translia now offers support for both PDF and image files through a series of R&D efforts based on its USPTO patent-pending collaborative translation system. As PDF and image files are two of the most common categories that are in need of document translation, this added new feature is a smart and useful business move for Translia. PDF and image file support is expected to bring 25% to 30% more business due to the exceedingly common nature of PDF and image files in our work and private lives. Some examples of the types of files that will benefit from this additional file support are: e-books and e-magazines (Kindle), online newsletters and white papers, financial reports of listed companies (NYSE or NASDAQ), photos containing text (shot with Apple iPhone 4 or Windows Phone), and scanned documents (e.g. Sarah Palin’s emails scanned by New York Times). While these files are unable to be translated directly by many online translation tools on the internet like Google Translate and Microsoft Translator, Translia now provides that capability. However, this new feature is not without any minor limitations. Clients must pay 10% more to have their PDF and image files translated than the traditional file types (such as TXT and DOC), because translators must look at the PDF and image files in order to create the translations, thus requiring longer translation times. While Translia provides "Translation Memory" for its other file types, this feature is not offered for PDF and image files. In addition, the PDF and image translations are not able to be exported to bilingual spreadsheets, thus limiting a client's ability to easily compare the translation to the source. Therefore, clients are recommended to provide the editable source files to translate as possible. Butler Motorcycle Maps Prints Paper Map for the Digital World - Butler Motorcycle maps butlermaps.com integrates QR codes on paper maps to link riders to the best places eat, sleep and explore. GPS lovers, don't give up on print quite yet! Within a year of establishing themselves as the authorities on motorcycle roads in the US, Butler Motorcycle Maps has again changed the way we use paper maps. Along with displaying the best motorcycling roads in each state, the newest generation of Butler Maps uses QR technology to link riders to the best places to sleep, eat and explore. QR codes are small printed images that allow users to instantly access content on the internet using a free app downloadable on their smart phone. While the printed code itself never changes, the content behind is constantly updated. “ Many people see paper maps as a thing of the past, but we see them as a staple to any road trip. QR codes are the perfect way to keep the reliability of a map yet gain the real time information that only the internet can provide. The great thing about QR is it can all be reached for free, from the side of the road,” says Justin Bradshaw of Butler Maps. Butler Maps latest edition, the Texas Hill Country, has 33 unique codes printed throughout the map. Each code has its own function including linking users to video of roads, lists of BBQ joints, places to sleep and even a calender of live music in the area. "This is way more then a map, we call it a Mobile Tour Guide, it really is everything you need to have the best ride possible. Of course, we will always focus on the best rides, but after all, there is much more to a great day of motorcycling then just the roads," says Bradshaw. Finally, Free Personal Online Protection from Hackers - PrivateSky enables you to uniquely encrypt (AES 128 bit) any text you post on the web for anyone, with a single click. With a single click, it decrypts any encrypted text, called a PrivateSky Package, as long as it was uniquely encrypted for you. Every week we seem to be reading about another global business giant being the victim of online security breaches. Millions of Sony accounts were targeted, the IMF has fallen foul of hackers and even Google hasn’t escaped the attack. So where does this leave your average man on the street? If three of the biggest online businesses in the world can’t keep the hackers out, how can we? Well today internet security expert CertiVox is set to revolutionise secure online information exchange with the launch of its free PrivateSky service – and change the way average Joe protects his online information forever. Currently available for PC users, PrivateSky, the new personal information security solution from CertiVox, will give its users complete peace of mind by allowing them to quickly and easily secure their web-based messaging – including Google Mail, Hotmail and Facebook among others. Despite a flurry of online announcements, urging users to ensure all URL addresses they are using start with ‘HTTPS’, this doesn’t help to secure personal data that is maliciously compromised because of lax security at an online services provider, or when your personal webmail or social network account is compromised. With the PrivateSky Connector installed, anything typed into any web page text entry box – including all blog posts, social networking comments, forum entries, web-based email and more – can be uniquely encrypted with a single click. The PrivateSky platform employs CertiVox’ innovative non-interactive key agreement technology which provides end to end encryption by issuing the user just one key – the Sky Key, which, unlike public / private key based encryption systems, recipients do not have to be pre-registered with PrivateSky to receive protected messages. The Sky Key enables PrivateSky to address privacy, authentication, integrity and non-repudiation without any of the usual complexity, cost or management overhead often found in other public/private key protocol. Offering simplicity and ease of use, there is no need for usernames, passwords, certificates or complex workflows. CertiVox’s PrivateSky Connectors for Microsoft Silverlight and Internet Explorer deliver all the privacy, authentication, message integrity and benefits of AES encryption – virtually eliminating the threat posed by phishing attacks. PODSTA Smartphone Holder Gives Users Freedom to View - Popular smartphone accessory makes its US Debut - Introducing PODSTA™, a new smartphone and media player stand that’s as fun, flexible and expressive as you are. Introduced earlier this year in the UK where it reached instant popularity, PODSTA is now available in North America through Madrona, Inc. and its subsidiary, Volo Products. Available in eight vibrant colors, PODSTA is a flexible, lightweight and versatile smartphone stand with a simple push/pull fit. PODSTA is compatible with all generations of iPhone and iPod touch, and a range of other smartphones from Blackberry, HTC, Samsung and many others. PODSTA holds your device horizontally and vertically and works on both hard and soft surfaces from desks to sofas to tray tables on trains, planes or buses; giving people hands-free use in almost any location. PODSTA’s patent-pending Softgrip ™ design made from post-consumer recycled foam makes it easy and comfortable to talk hands free by balancing your smartphone on your shoulder or simply place it on your desk to allow hands-free listening or FaceTime video chatting. Voltaic Launches Solar Charger for the iPad - The Spark Solar Tablet Case charges tablets and other handheld electronics from solar power and its included universal battery. Voltaic Systems opened up opportunities for grid-free computing with the launch of its iPad solar charger, the Spark Solar Tablet Case. Perfect for mobile workers and global travelers, the Spark provides one hour of iPad video playback for every hour in direct sunlight. In addition, it will charge the Blackberry Playbook, T-Mobile G-Slate, Samsung Galaxy Tab, the ASUS Transformer and most handheld electronics. When sun is unavailable, the internal battery can fully charge an iPad. The battery can also be re-charged from a wall or car charger. Voltaic is also launching the Spark's internal battery as a standalone product. The V39 USB Battery provides backup power for iPads, other tablets and smartphones. 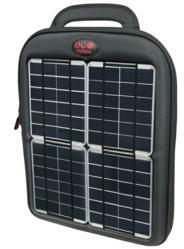 On the front of each case are four two-Watt solar panels. Solar charge times are determined by the total area and efficiency of the solar cells -- the Spark uses high-efficiency monocristalline cells which will charge an iPad from about 10 hours of sunshine. The cells are encased in a clear, UV and scratch resistant coating. The rugged panels are waterproof and built to withstand the abuse of everyday use. Many tablets, including the iPad, can charge quickly from high-powered USB ports which output 2 Amps, four times the current of a standard USB port. The Spark’s internal battery has 39 Watt-hours of capacity and both a high-powered USB port for tablets and a standard USB port for phones and other handheld electronics. Fast charging for a tablet also means fast charging for professional DSLR cameras. Users can connect a car charger cradle for their camera battery to the solar output of the Spark. Compatible with both 3.7 and 7.4 Volt camera batteries. The Spark case is fully padded and lined for a snug and soft fit. It can be held by its handle, carried using the removable shoulder strap, or placed inside a backpack or other bag. Incipio Reintroduces a Best-seller and a Completely New Concept for Smart Phone Cases at CE Week - Incipio announces the cases for the Samsung Charge and Droid X2, as well as, a customizable case option for the iPhone 4. Irvine, CA based Incipio--the leading manufacturer of accessories for smart phones, tablets, and notebooks--welcomes three new protective cases to its family of mobile accessories at the Consumer Electronic Associations (CEA) Line Shows in New York. 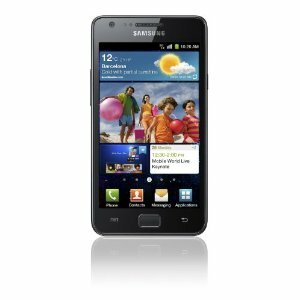 The first two cases being announced are based on the extremely popular Silicrylic™ line of protective cases for two recently released handsets: the Droid X2 and the Samsung Droid Charge, both from Verizon. A two-part case comprised of a high density, shock absorbing silicone core paired with a high quality polycarbonate exterior, the Silicrylic™ offers maximum protection without any added bulk. The new Silicrylic™ protective cases are available in four attractive color combinations and are reasonably priced at $29.99 for both the Droid X2 and the Droid Charge. Americans Use Voice Over Email, Text and Social Network/Media as Means of Communication Between Family According to New Survey from Rebtel - Email leads as preferred work colleague communication. Ever wonder to what extent advances in communications have impacted the lives of family members across America? Not as much as you would think, asserts Rebtel, the world’s largest independent mobile VoIP company, who today announced the first part of a two-part survey. The first part of the survey was conducted online on their behalf by Harris Interactive in May 2011 among 2,361 U.S. adults aged 18+. According to the study, 93% of online U.S. adults use some method of communicating with family other than in person, and a vast majority (81%) of them claim they use voice/phone to keep in touch. 92% of online U.S. adults also use some method of communicating with friends other than in-person, with nearly three out of four (74%) who do so choosing voice/phone. Surprisingly, voice/phone is also popular when it comes to staying in touch with a spouse or a significant other. 85% of online adults who communicate with a spouse/significant other (other than in person) choose voice, far surpassing text/SMS (58%) and email (56%), which came in a distant second and third respectively. Voice/Phone was also the clear favorite among online U.S. adults who communicate with others (other than in person) if they could only choose one method of communication to various groups, claiming the #1 spot in three of the four groups outlined (friends, family, and spouse/significant other). “Modern communication methods such as Video calling, Social Networking, IM, and Email have all made a tremendous impact on our social behavior, however today’s results are a tell-tale sign that the more things change, the more they stay the same, and nothing comes close to replacing the familiar sound of a loved ones voice at the other end of the line,” said Andreas Bernstrom, CEO of Rebtel. Incipio Brings M&Ms to gdgt New York by way of iPhone 4 Cases - Incipio has produced two lines of cases for iPhone 4 as part of a licensing agreement with Mars and the M&M's brand. The cases based on their award winning feather® and dotties® cases. The M&M's cases will debut in New York at gdgt. Leading mobile accessories manufacturer Incipio is known for many things but the creativity that is the core of the 12 year-old Irvine, CA based company is what typically attracts the most attention. 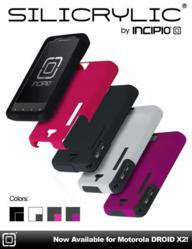 Incipio will no doubt receive attention for it’s new line of M&M branded iPhone 4 cases which will make their official debut tonight at gdgt New York, part of the five day Consumer Electronics (CE) Week. 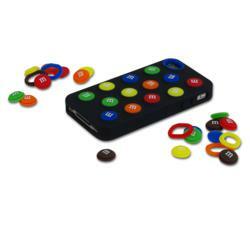 Incipio recently became an official licensee of Mars and the M&M’s brand and has developed two lines of M&M’s branded and inspired protective cases for the iPhone 4. One line of the M&M’s cases is based on Incipio’s award winning feather®, a polycarbonate case only 1mm thick. The M&M’s feather® will feature four of the M&M’s highly recognizable characters/colors: Red, Blue, Yellow, and Green. The second line of M&M’s cases is based on another of Incipio’s award winning protective cases, one that might seem like it was designed specifically for the M&M’s project: the dotties® case. Incipio’s dotties® are a line of cases made of high-density silicone for superior impact protection and feature colorful, interchangeable dots. These dots resemble M&M’s and made dotties® an obvious edition to the family of M&M’s cases by Incipio. ClamCase Keyboard Case for Apple iPad 2 Arrives - So impressively Versatile… Maximize your iPad experience with protection, multiple positions, and a full QWERTY keyboard. ClamCase + iPad = The Perfect Marriage of Style and Functionality. ClamCase® announces the ClamCase for iPad® 2: The second-generation of its breakthrough all-in-one keyboard, case and stand for Apple® iPad is available now. The ClamCase for iPad 2 builds off of the features that made the original ClamCase an instant global success with consumers, professionals and educational institutes alike. ClamCase for iPad 2 is a lighter, sleeker model, and includes additional features for productivity and entertainment. ClamCase products offer an incredibly practical solution for those who have experienced the magic of the Apple iPad, and are looking to take their device to the next level. ClamCase is the only tablet case on the market today that not only enhances the mobility of the iPad with a highly functional keyboard and durable hard-cover case, but also maintains the freedom of the tablet design with its patent-pending 360 hinge. ClamCase for iPad 2 will continue to include the Bluetooth® “Easy Sync” system, and a long battery life (with over 100 days of standby). The new hard shell case now includes cutouts, which expose the back camera and built-in iPad speakers, and is available in both black and white models. 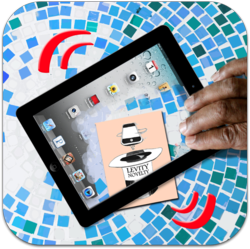 Invisibility Achieved Through iPad 2 App - Levity Novelty LLC has today released an iPad app that provides simulated invisibility of the iPad 2 screen on a table or other environment, even as the device is moved. The Invisibility™ app is available in Apple’s online App Store for US$0.99. VTE Inc. Releases The Knee Dock, a Comfortable and Secure Hands-Free iPad Holder - Offering an easy to use and comfortable iPad Holder, VTE Inc. has released the Knee Dock for aviation, travel, and home use. VTE Inc. introduces the Knee Dock; a lightweight, comfortable and safe way to secure the Apple iPad to the leg for hands-free viewing and operation. Now the iPad user can keep their iPad safe and accessible for long periods of time, due to the ease of use and comfortable design of the Knee Dock. In the aviation world, the Apple iPad is becoming more common as a way to manage navigational aids. Accordingly, the pilot needs a comfortable and safe way to secure the iPad during flight. 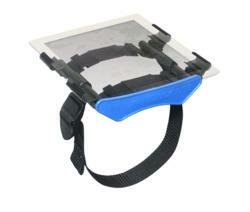 The Knee Dock iPad Holder, developed by VTE Inc. safely and easily secures the iPad to the pilot's leg. "With the implementation of FAA’s NEXGEN Air Traffic Control System, electronic media has become a necessity rather than a luxury, due primarily to the increase in number of published charts for each airport, from RNAV STAR/SID procedures to Q-Routes to multiple GPS procedures" said Tim P., Supervisor, FAA. With this new development in electronic charts systems, the Knee Dock is an easy and low cost way to secure the pilot's iPad. 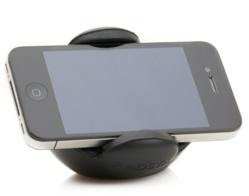 The Knee Dock works for the iPad 1 and the iPad 2. Easy to use and very comfortable, the Knee Dock is designed for maximum air flow, keeping both the user and the iPad cool and comfortable. Developed by VTE Inc., a Michigan manufacturing firm, the Knee Dock combines the features a pilot needs, with the manufacturing know-how of a well established company. ZooGue Brings Its Multi-Functional Case Design to the Samsung Galaxy Tab 10.1 - With tablet computers continually making headlines, and company giants developing their tablets to be thinner and lighter than the competition, there’s one fact that remains the same. A great case is needed to protect the tablet as well as provide amazing versatility. 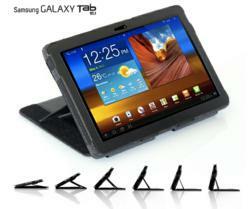 The ZooGue Samsung Galaxy Tab 10.1 Case Genius offers that and much more! Even though the fully adjustable stand sets the ZooGue Case Genius apart from its competitors, the added convenience of a strap gives even more functionality. Providing a secure hand strap, case closure or an adjustable headrest mount for the car, the options remain unparalleled to other cases. Brain Stimulation for Babies is Focus of New Mobile App Using Universal Symbols and Sounds - Startup iPercepToolz, Inc. launched ‘Baby Symbolizer’ for Father’s Day, a high contrast early development app for Apple iPhone, iTouch, and iPad. 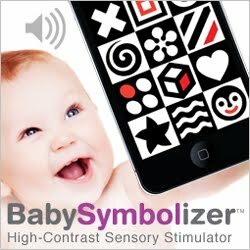 iPercepToolz, Inc. (iPT), announced the release today for Father’s Day of ‘Baby Symbolizer’, its first mobile device app available on iTunes, specially designed to stimulate early brain development in newborns through the use of interactive high contrast universal symbols, shapes, patterns, and sounds. * Enhance natural curiosity, neck strength and head control. Baby Symbolizer is now available at the iTunes App Store for $1.99, and features 34 high-contrast graphics that are viewable in a continuous ‘Slideshow’, or an ‘Interactive’ mode that encourages infants to touch, explore and discover bold visual/sound response buttons. Touching the heart shape produces a ‘heartbeat’ sound and the wave pattern produces an entertaining ‘splash’, for example. 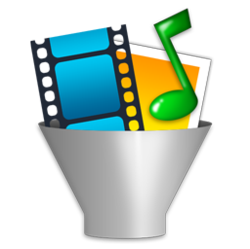 ConsumerSoft Release My Media Converter - New program from ConsumerSoft lets users convert graphics, audio, and video files. ConsumerSoft, makers of the best-selling My Faster PC Windows utility suite, today announced the release of its latest application, My Media Converter. “People have more and more media files,” says Robert Thompson, EVP of Product Development for ConsumerSoft. “As formats come and go and different formats are needed for various devices and programs, media conversion is becoming more and more important,” continued Thompson. My Media Converter is the newest program from ConsumerSoft, who offers a lineup of paid and free applications. The company specializes in providing PC utility programs and has also launched My Phone Support, a technical support service, in 2010. “At ConsumerSoft, we’re always working on new products and services that can help people manage and enjoy technology more,” says Thompson. Locomo Labs, a mobile application development company focusing exclusively on the Android platform, announces the release of “Friend Me,” a Facebook application designed specifically to work with the Android tablet and Honeycomb, the newest version of the Android operating system. Friend Me is a free application with no advertising, available for download now from Android Market. Galaxy users have long complained about the shortage of applications designed for tablets that run Google's new Android operating system. Many apps designed for Android phones also work on tablets, but they don't always run well or take full advantage of the tablet's larger screen. Friend Me includes many of the Facebook features most-requested by the Android user and development community. New features will continue to roll out in the coming weeks. Friend Me takes advantage of the latest technologies of Android 3.1. The tablet-centric design offers an experience that best utilizes your device. Xerox Improves Customer Support with Email Automation - Xerox Corporation the leading global enterprise for business process and document management, improves its support tracking and fault resolution using Email2DB advanced email automation software to deliver enhanced customer service. Xerox Corporation the leading global enterprise for business process and document management has taken a significant step in improving its support tracking and fault resolution with the implementation of Email2DB advanced email automation software. With clients that include global leaders like The Dow Chemical Company, Fiat Group, Ingersoll Rand, and Procter & Gamble customer support for Xerox has always been critical to the companies success, the product support division of Xerox manage and maintain the essential processes that these businesses count on to be successful. Prior to the implementation of Email2DB, Xerox product support division standard support process relied heavily on technicians following up customer support tickets with calls. Whilst this method provided Xerox clients with good customer service, the practice of having technicians follow up on ticket status was not only time consuming but also had a significant impact on operating costs. With a global customer base including clients such as NASA, Microsoft, Avaya, Carrefour, Ericsson and SAP, Email2DB offered the proven software solution, expertise and support Xerox were seeking in a strategic partner to help further improve their support process. ACNODES's New Ultra Slim Industrial Panel PCs Powered by Core i3/i5/i7 Processor for Industrial Applications - A new line of rugged industrial grade Panel PCs Offers higher Performance Using Core i3/i5 processor and water-proof front ABS bezel. 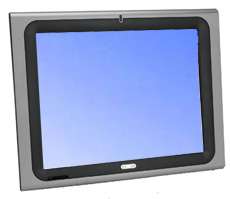 Acnodes Corp. today announced its new line of industrial grade touch screen panel PCs featuring large, WXGA-resolution LCD displays, mobile Intel Core i processors. The PC7395 comes with 19-inch diagonal, 1280-by-1024 resolution LCD display, PC7375 comes with a 17-inch diagonal and 1280-by-1024 resolution as well as the PC7355 built around a 15-inch diagonal 1024-by-768 resolution display. The screen is its own pointing device thanks to the built-in 5-wire resistive touch screen controller. Screen settings can be adjusted using the small membrane keypad on the front panel or under Windows via an On Screen Display software utility that comes with the system. All three computers have sealed front panels with IP65 ratings made of durable, lightweight ABS plastic that protect against dust and water splashes. As rugged as these computers are, the turbo-enhanced performance of Core i processor technology and DDR-3 memory and the data integrity and storage protection of solid state hard drives become even more important reasons for getting these systems for applications that have proven to bog down with more bottle-necked hardware systems. The standard configuration of the includes a Core i3 350M 2.26 GHz processor, 2GB DDR-3 RAM and 120GB 2.5” SATA hard drive and is upgradeable up to a Core i7-620M at 2.66GHz, up to 8GB RAM. Thees panel PCs included dual Gigabit LAN. Wireless LAN with Bluetooth is available as option for those who also purchase the desktop stand. They use the computer’s available mini PCI-e card slot. RobotWorx Announces 15% Discount on FANUC Material Handling Robots - Industrial robot integrator RobotWorx is running a sale on reconditioned FANUC R-2000iA/165F and FANUC S-900i robots throughout the month of June. Companies interested in an affordable and versatile industrial robot for material handling, machine tending, spot welding, and other applications can receive 15% off FANUC R-2000iA/165F and S-900i RJ3iB robots during RobotWorx’ June sales event. To be eligible for the discount, companies need to submit a purchase order by the end of the month and mention promotion code 15%PRDEAL. RobotWorx sales team is available to answer any questions about the products and provide additional pricing information: 740-383-8383. The reconditioning company’s used robots, already priced 40-50% lower than new, provide significant savings opportunities for businesses looking to automate. However, the 15% off sales event offers an additional incentive. 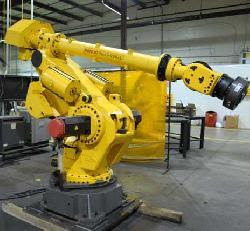 The FANUC R-2000iA/165F and S-900i robots are 6-axis, floor-mount models suitable for a variety of uses ranging from palletizing and machine loading/unloading to spot welding and cutting. Both industrial robots offer generous work envelopes and payload capacities. The FANUC R-2000iA arm can reach 2650mm horizontally and hoist up to 165kg, while the FANUC S-900i arm reaches 2488mm and lifts 220kg. 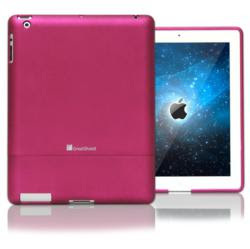 GreatShield introduces the iSlide case for people who use their iPad 2 everywhere they go and want great protection. This ultra slim case is made from poly-carbonate material that provides superior protection from any bumps and scratches. The micro-fiber guardrail on the inside of the iSlide provides shock and scratch absorption so the iPad 2 is secure. Perfect for anyone on the run! A silky, satin finish gives the iSlide a classy look that will turn heads wherever it goes. People who are busy and moving fast will want to charge their iPad 2 to be sure it’s ready for that all important meeting. The iSlide has easy access to plug in the charger with out removing the case. When it’s time to sync all that valuable information, simply slide off the bottom portion of the iSlide and start syncing away. No removing the entire case to get everything done that is needed. Employee DIY LED Lighting Project at Elemental LED Sparks Creativity in the Workplace. Employees shared impressive LED lighting projects last week, after being given a month’s time and a modest budget. Elemental LED, a San Francisco Bay Area-based LED lighting company, has launched a new monthly initiative, which provides incentives for employees to create their own projects that utilize LED lights. Managers launched the program in the beginning of May, and employees showed off their first projects last week. Every month, each participating employee will be given a modest budget to be spent on any of the LED lights and accessories in Elemental LED’s catalog of products. At the end of each month, management will host a show and tell, in which each employee is given the opportunity to show off his/her creation. Everyone present will vote on their favorites, and the winners will receive gift certificates to local restaurants and stores. Projects that were shared for the month of May included: A movie box lit by LED light bars; a color changing LED-lit alien helmet; a motorcycle headlight retrofitted with LED dome lights; an art piece inspired by Shaun Kasperbauer, and composed of empty plastic bottles and color changing LED strip light; a bike rider kit including LED strip light retrofitted to a bike helmet and messenger bag for safety; and several other submissions. DXG is bringing the beloved View-Master® back with an exciting technology twist that lets users create and share their own 3D content with the new DXG-018 3D pocket camera and viewer. Available today at dxgusa.com, the DXG-018 3D camera and viewer bundle retails for $69.99. 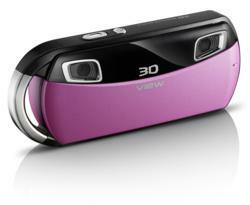 Available in five eye-catching colors – pink, lavender, orange, green and yellow – the DXG-018 features a dual-lens 3D camera which snaps color pictures that are saved onto an SD card (sold separately). Photos are easily transferred from the SD card by inserting it into any printer or computer, or using the included USB cable. Using standard 4x6 photo paper, pictures automatically print as side-by-side images with dotted lines for optimal cutting and sizing to fit into the included 3D cardboard viewers. Once the photos are ready, simply slide them into the viewers, look into the windows and enjoy the 3D magic. CradlePoint Technology announced today its newest product, the CradlePoint Wireless 4G/3G MBR95 router designed specifically for home office and small business. CradlePoint’s industry-leading 4G/3G routers allow customers to expand the reach of the Internet where they need it, even if wired connections such as cable or DSL are unavailable. By leveraging the massive deployment of high-speed mobile broadband networks provided by carriers such as Verizon, Sprint and AT&T, the MBR95 router can create secure WiFi connectivity wherever you receive a mobile broadband (cellular) signal. Secure, powerful, and simple to use, CradlePoint's MBR95 Wireless 4G/3G router gives the home office and small business user more choices in how they connect to the Internet. Built for optimal performance and versatility, the MBR95 router creates a wide-range WiFi network that allows connectivity of up to 32 devices when combined with a cellular USB modem, cable, DSL, or even satellite data modem connection. Supported devices include PCs, laptops, Macs, iPads, DVRs, gaming systems, cameras, printers, VoIP phones – anything with WiFi connectivity. Additionally, the MBR95 accommodates up to four Ethernet devices so computers, VoIP desk phones, and multifunction printers can be connected directly to the router. Another powerful feature of the MBR95 is its ability to use an outside WiFi signal as a data source. This feature, also known as WiFi as WAN, allows you to change the MBR95’s internet source to an outside or even public WiFi without altering any of your WiFi-enabled device passwords or sharing options, ensuring access security in any location. "WiFi as WAN is a feature that continues to evolve as a significant differentiator,” said CTO, Gary Oliverio. “We've heard from our customers that they love the ability to take their established, password-protected networks with them on the road without compromising the security of their data. The MBR95 makes that possible." The MBR95 quickly creates two Wi-Fi networks: a private one for keeping your network secure and a guest network that gives customers, co-workers and friends simple access to your Internet connection. Both networks provide password protection to ensure full control of the network connection. Small businesses can also take advantage of the MBR95’s highly customizable security settings and failover/failback option, providing secure and reliable “always on” Internet. The MBR95 also provides a wide variety of encryption and security features to prevent unwanted network access. With CradlePoint’s integrated WiPipe technology, the product features a NAT firewall, Stateful Packet Inspection (SPI), WEP/WPA/WPA2 (personal and enterprise) WiFi encryption, as well as VPN pass-through support to allow secure corporate connections from PCs and tablets. 802.11n technology also allows for up to 300Mbps data throughput rates. Gadspot, a premium provider of affordable video surveillance products, today introduced the GS851EF line of 650TVL (TV lines) cameras. This newest line replaces the previous 600TVL line of cameras and is priced starting under $90. 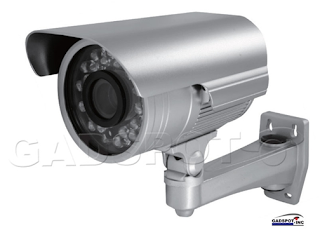 The GS851EF is a color CCD (Charge Coupled Device) camera providing superior picture quality for indoor and outdoor video surveillance needs at an affordable price. “We’re always striving to give our customers innovative, cutting-edge products at the reasonable price they’ve come to expect from our company” states Judy Chen, President of Gadspot. Some features of the Gadspot 650TVL camera include built-in light sensors for automatic infrared activation, a 9-22 mm varifocal lens offering crisp and clear images and auto tracking white balance, allowing customers to view objects as they appear during daylight without a loss in picture quality. “Deciding on which surveillance company to purchase products from can be a difficult decision, but with weekday 24-hour live customer service available, our customers can be assured that we’ll help set them up with the right solutions to meet their security needs,” continues Chen. The World's First Naked Eye 3D Gaming Laptop - Look Ma, No Glasses - ASUS has just introduced the World's First Naked Eye or Glasses-Free 3D Gaming Laptop. Will this new technology finally bring 3D into the mainstream? ASUS, with their Republic of Gamers (ROG) laptops, have constantly been pushing the boundaries of computer gaming. Now, at the latest Computex in Taipei, they have created some collective buzz around one of their latest offerings - the ASUS G53SX, the world's first "glasses-free" 3D gaming laptop. Asus is calling this a Naked Eye 3D system, which will feature some unique technology with the ability to instantly convert existing 2D visuals into glasses-free 3D content. This 3D laptop even has a "mixed mode" where you can view in one window, a 2D display and a 3D display - all at the same time. And Asus, in a recent press release, is claiming all this can be accomplished without "compromising brightness, contrast or color fidelity, exceeding the output of older 3D technology that relies on glasses." This glasses-free technology and devices may just be the push 3D needs at the moment, especially with gamers where the jury is still out. It could also conceivably open up a much larger consumer base or marketplace for this new technology and finally bring 3D into the mainstream. "Getting rid of those awkward glasses will be the key to the success or failure of 3D technology," states Titus Hoskins, a former teacher who now runs: 3D-gaminglaptops.com, a highly ranked site on 3D gaming laptops. "Besides the extra expense, many people find wearing the 3D glasses uncomfortable and a real pain to use." The 15-inch Full HD G53SX also sports some other ground-breaking features and specs, which will turn more than a few heads in the gaming world. The laptop is powered by a 2nd generation (Sandy Bridge) Intel® Quad Core i7 CPU and discrete DirectX® 11 compatible Nvidia GeForce® GTX 560M graphics, which has a massive 2GB of GDDR5 video memory. It also has a solid state hybrid drive at 10,000 rpm, which can cut down boot times by up to 52%. As you probably know, most high-end gaming laptops currently run at 7200 rpm speeds. In addition, this ROG gaming laptop comes with a whole suite of 3D content creation and editing software, which will let owners use advanced authoring tools and they will also have 3DTV Play connectivity. Sound performance will be increased with both THX (next generation surround sound) and EAX 5.0 3D, giving gamers up to 128 additional sound effects at once when compared to conventional gaming notebooks. The laptop's design also includes two fans which will draw cool air in from the front and then push the warm air out through large twin exhausts or vents at the rear of the device. As gamers know, keeping any high-performance machine cool and quiet, are two of the biggest obstacles to enjoyable gaming. Asus made devices have had great success in this area and hopefully the G53SX won't be an exception. However, it is the Naked Eye or glasses-free 3D feature which makes the ASUS G53SX a true groundbreaker. This new technology opens up a whole new spectrum for 3D gaming laptops without the glasses. It could also pave the way for a whole new industry for Naked Eye 3D gaming laptops and other devices. Regardless, the ASUS G53SX will definitely have many gamers smiling, look ma - no glasses. 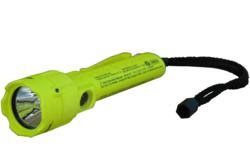 Larson Electronics’ Magnalight.com Introduces Versatile Intrinsically Safe Dual Beam LED Flashlight - The Magnalight.com EXP-LED-FX2 Intrinsically Safe LED Flashlight is designed to provide a convenient and easy to use source of intrinsically safe light in hazardous locations where protection against fire and explosions is mandatory. Equipped with two LED light emitters, this compact and durable intrinsically safe flashlight has three operating modes, spot, flood and a combination of spot and flood. Operated individually each of the two LEDs produces 80 lumens and when operated in combination provides 160 lumens total. This LED flashlight runs on three AAA batteries and will run for 14 hours in single lamp mode and 7 hours with both LEDs operation. The Magnalight EXP-LED-FX2 Intrinsically Safe Flashlight produces 80 lumens of useful light and adds extra versatility through the inclusion of a secondary LED which produces an 80 lumen floodlight beam when activated. Each LED is controlled by a separate momentary/constant on switch allowing the LEDs to be activated independently of each other or in combination. The primary LED in this explosion proof flashlight produces a tightly focused beam of light that is well suited to utility and general use applications. The secondary LED produces a wide flood of light that is useful for illuminating larger areas and conducting inspections. Both LEDs can be operated together to produce a total of 160 lumens of light, allowing this compact flashlight to serve as a convenient workspace light when needed. The lightweight flashlight housing is constructed of a high strength polymer that is impact and chemical resistant and incorporates non slip grips for secure handling. A lanyard and integrated pocket clip are also included which allows for convenient carrying and helps to prevent loss or accidental damage. The LEDs used in this flashlight are highly resistant to damage from vibration or impacts and have a 50,000 hour rated life expectancy. Safety rated and suitable for a wide range of hazardous environments, this flashlight is approved Class 1, 2, 3 Div 1, Class 1, 2, 3, Div 2, Groups A, B, C, D, E, F and G. As well as being rated intrinsically safe, the powerful 80 lumen light output, durable waterproof construction and light weight make this flashlight versatile enough to serve as a tactical light in professional applications as well as an ideal backup service light in military settings. AirTurn, Inc. is introducing the ATFS-2, a new silent foot switch designed to be the quietest consumer foot switch on the market today, as a companion to its BT-105 Bluetooth hands free page turner for the iPad and Bluetooth-equipped Mac and PC computers. The ATFS-2 features a proprietary "mechanism free" design, where there are no moving parts aside from the molded hinge. The switch is actuated with a rare earth neodymium magnet and a rhodium reed switch, both of which are embedded within the body of the foot switch. Manufactured in Colorado, the ATFS-2 is injection molded with a unique blend of high strength plastics, which makes the foot switch virtually indestructible. "When I first started using computers as digital sheet music readers 10 years ago, I fell in love with the idea of being able to carry my entire library in a single device and marking up my music with digital ink," says Hugh Sung, VP and Co-Founder of AirTurn, Inc. "The hardest part of putting this digital system together was finding a way to turn the pages without having to press a button with my hand, which I really wanted to keep on my piano while I played. I tried using various programmable foot switches, but they were all difficult and clunky to use. My dream page turning foot switch would need 3 things: it would have to be easy to use, it would have to be wireless (since I hated the look of dangling cables), and most importantly, it would need to be perfectly silent, since I had to turn pages in recording sessions and classical music concert halls. I think we've come up with a home run page turning pedal system for the iPad and Bluetooth-equipped computers that is easy to use, wireless with the latest Bluetooth technology, and hands down the most silent foot switch on the consumer market today." Up to two ATFS-2 foot switches can be connected to the AirTurn BT-105 Bluetooth page turner to trigger forwards and backwards page turns. The BT-105 features fast, easy pairing with devices like the iPad, long rechargeable battery life, and compatibility with a wide variety of iPad apps and most document and presentation programs for the Mac and PC. Freeslate, Inc., the leading provider of high throughput research solutions that enable dramatic gains in R&D productivity and innovation, today announced the release of Automation Studio 8.3 software, a key component of its powerful Lab Execution and Analysis (LEA) software suite. Automation Studio improves R&D productivity by automating and controlling multiple laboratory instruments with a single software interface. The release of version 8.3 introduces a new high-performance framework for managing communications with Freeslate’s Core Module 3 (CM3) robotics platform giving researchers increased performance and control of their high throughput experiments. The CM3 is a highly flexible platform that utilizes the experimental design, workflow automation and data management tools of LEA software to allow researchers to leverage a single automated instrument to prepare, process and test an array of complex mixtures and samples. Along with enhanced instrument performance, Automation Studio 8.3 also comes with a number of new features that provide researchers with a deeper understanding of what is happening during an experiment. New features include better display and monitoring of experiment process conditions, more sophisticated safety features, and dynamic parsers that can save data while an experiment is in progress. The new version now supports the Microsoft® Windows 7 operating system and Microsoft® Office 2010. Apress's Latest Book Teaches Readers How to Build a 3D Printer - There’s been a lot of buzz around three-dimensional printers, amazing devices that are taking the DIY community by storm. 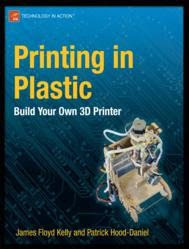 And Apress's latest book "Printing in Plastic: Build Your Own 3D Printer" guides readers through the process of building a 3D printer step by step. There’s been a lot of buzz around three-dimensional printers, amazing devices that are taking the DIY community by storm. But what exactly is a 3D printer and where are they sold? Unlike inkjet or laser printers that print with ink on paper, 3D printers apply melted plastic that cools and hardens. The plastic is applied in layers on a flat surface, creating the 3D effect. 3D printers can be purchased for around $10,000, but why spend that money when it can be built for a fraction of the cost? "Printing in Plastic: Build Your Own 3D Printer" guides readers through the process of building a 3D printer step by step. Once the machine is built, the 3D printer can be connected to a computer and can print out designs using free and available software shared by others on the Internet. It can also be used to construct custom configurations. New iPhone Case, NautiCase by Keystone ECO, Offers Superior Rugged Protection to Ordinary iPhone Covers - The new iPhone case takes the protection offered by traditional iPhone covers to the next level. NautiCase offers three tough layers of protection against shock, dust and water splashes and receives a rating of IP54 according to the environmental protection ratings developed by European Committee for Electrotechnical Standardization. Concord Keystone today announced the debut of their new iPhone case -- the Keystone ECO NautiCase, the company’s sturdiest protective case for iPhone 4. The newest addition to their line of iPhone covers offers a hard line of defense against iPhone’s toughest challenges, including bangs, bumps, shock, dust and water spills. The NautiCase has received the IP54 environmental protection rating affirming the NautiCase has met specific international standards for protection. The NautiCase is an extremely sturdy tri-layer system of protection for the iPhone 4. 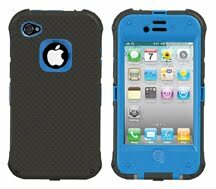 The first line of defense is its high-impact polycarbonate hard shell that provides full protection to the iPhone 4. The shell features an integrated clear cover for the phone display screen. This offers protection to the device without losing the touch screen and phone functionality. A strong rubber skin, with a textured soft bumper surrounds the iPhone case and includes flaps for the dock connector and the headphone mini-jack. The NautiCase’s ready-to-use design eliminates the need for complex assembly. Just open the iPhone case, place the phone inside and snap it shut. Your iPhone 4 is encased in protection.